At A Moment Away, we offer our guests in Central CT, massage therapy, skin care, hand and foot treatments, spa parties and more. Best of all, we offer something no one else does - unparalleled attention to our clients. At A Moment Away, we offer our guests in Central CT massage therapy, skin care, hand and foot treatments, spa parties, and more, Best of all, we offer something no-one else does- unparalleled attention to our clients. Convenient, fast and easy. Schedule your appointment today! Purchase your gift card online, then print it or email it to someone special. Enjoy monthly spa services—the best way to deal with what life throws at you. 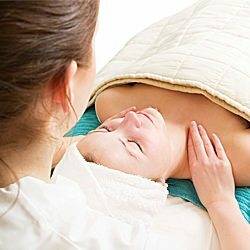 Therapeutic massage is the perfect way to find relief from muscle aches, headaches, tension and more. Explore our extensive services and treatment modalities to find the one that’s perfect for you. Red or sensitive skin can be painful and embarrassing. To soothe and calm your skin while treating inflammation and flare-ups, Dermalogica’s Ultra Calming line is the answer. 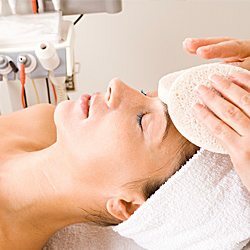 Get younger-looking skin with our anti-aging treatments. Watch the years fall away and feel fresher, brighter and more attractive in just a few short sessions. 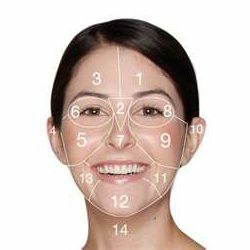 Boost your self-esteem by fighting unwanted acne with a range of treatments. Diminish scarring and reduce blemishes and breakouts with our scrubs, peels and facial treatments. Go hair-free—without shaving—for smooth, supple skin. We use a variety of waxes to help you get the best results possible for all body parts, women or men. Our luxurious manicures and pedicures are relaxing and rejuvenating. Featuring reflexology, organic scrubs, oils and moisturizers and more. Ask about our Sport Pedicure for men. 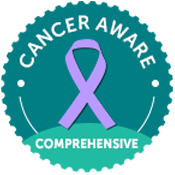 Coming this July, each member of our team will have completed comprehensive training to safely deliver unparalleled attention during cancer treatment and recovery. 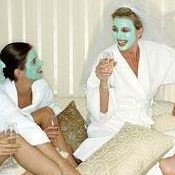 Spa parties can be customized for bridal parties, birthdays, work events or any special occasion. Groups of 4 or more, please. Supplies provided. You love your baby…And we do too. 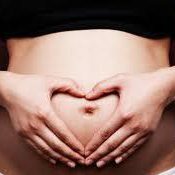 Ask about pregnancy and post-natal massage to learn how it benefits both you and your baby.